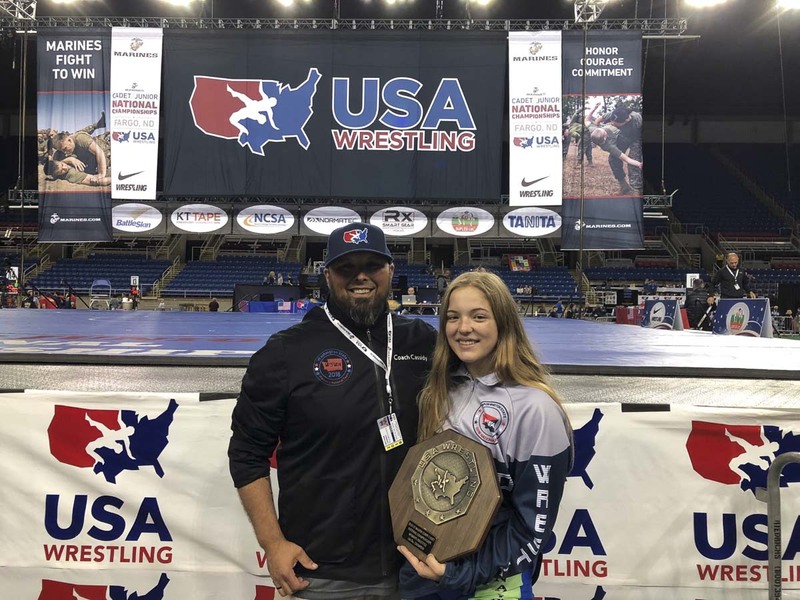 That moment is when Nevaeh Cassidy, a junior-to-be at Union High School, won the USA Wrestling cadet freestyle national championship in her 144-pound weight class earlier this week in Fargo, N.D.
Cassidy defeated Sydney Manos of Illinoi, 14-7 in the championship match. She got there, though, by rallying from a 13-8 deficit in the semifinals to beat Jayden Bentley of Iowa. “I threw her, got my four (points), and then I pinned her,” Cassidy continued. She trailed early in the championship match, but remembered her training. Then came that perfect moment, with her arm being raised. Later, she stood on the podium. She had a picture taken with a U.S. Marine. Then she jumped into her father’s arms. “Daddy, I did it,” she screamed as Nathan Cassidy embraced her. 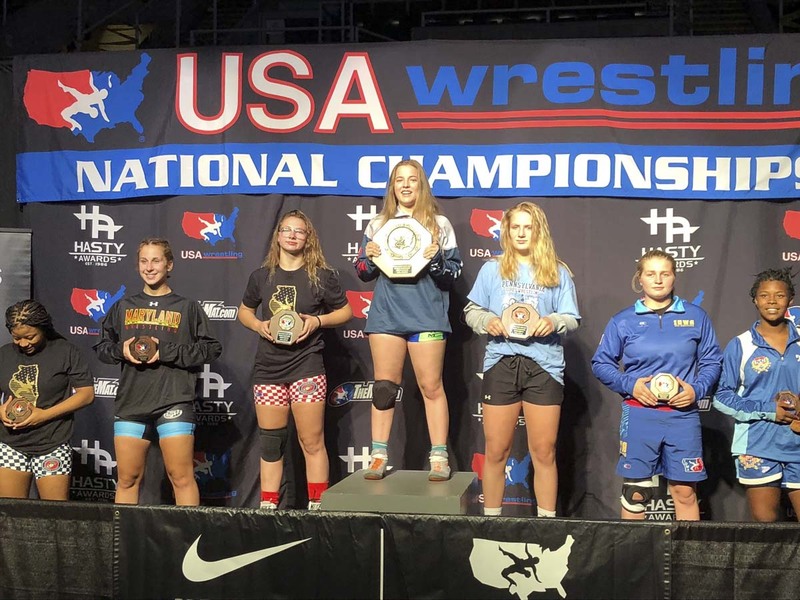 Cassidy describes herself as a thrower, which is perfect for freestyle wrestling, which awards more points than in, say, a high school competition. Wrestlers must qualify for the nationals through state or regional competitions. In all, four Union teammates and a handful of other Clark County high school wrestlers joined Cassidy in Fargo. It was Nevaeh Cassidy’s perfect moment, but in a way, she wants to share her national championship with all of those loved ones.